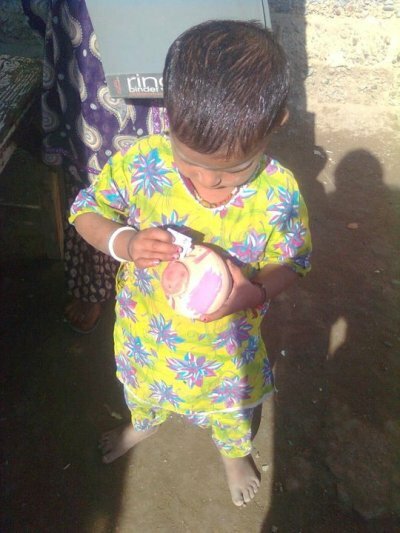 It was a distress call for the future of the children under his care. This was a call from my brother, a philanthropist by nature, who was always thinking of doing something more than his studies or career for the welfare of people around him. Thirteen-years older than me, I have always seen him helping people, be it relieving the sweeper from hefty interest loans, giving weekly tuitions to children in slum areas, providing farming tools to villagers or setting up a charity school – there was always something charitable on his to-do list. 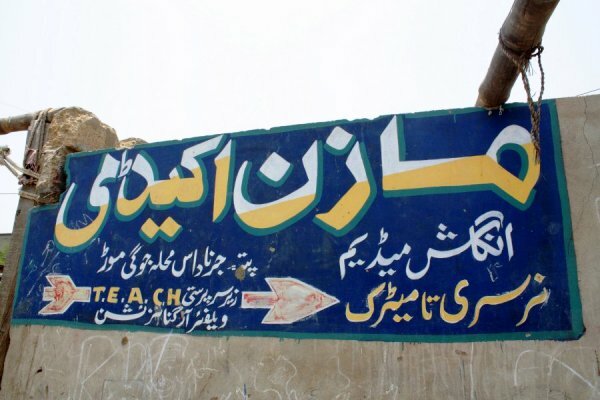 In 2004, he set up Mazin Academy (named after his first born), at Hassan Panwar Goth Jogimor, a slum in Karachi inhabited by the local Hindu community. 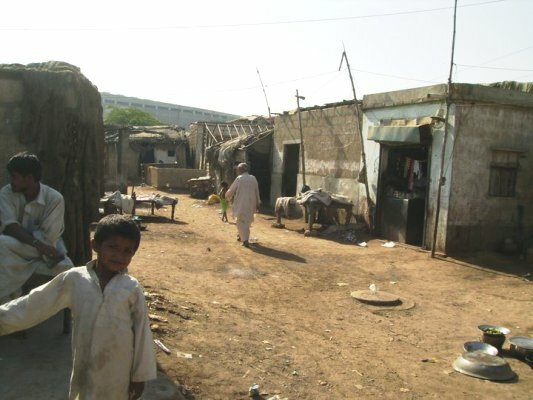 Being illiterate and socially stigmatised, the usual professions of the dwellers of this slum area are cleaning sewerages, sweeping public areas, washing toilets or collecting garbage. Begging for a living and drug usage was rampant at the time amongst dwellers and my brother wanted to do something for the future of their children. 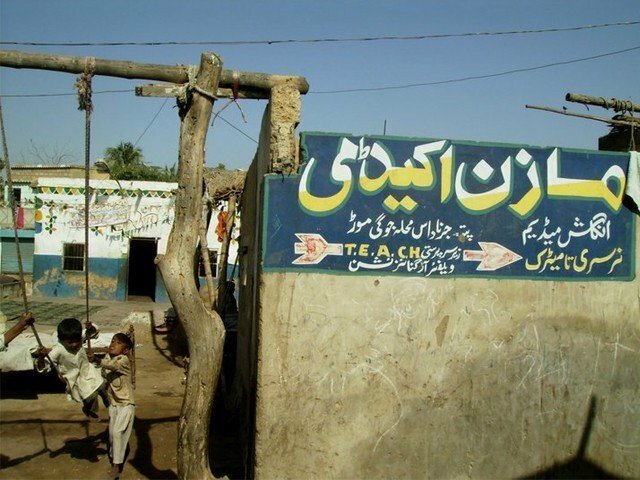 So he started a school within the village. 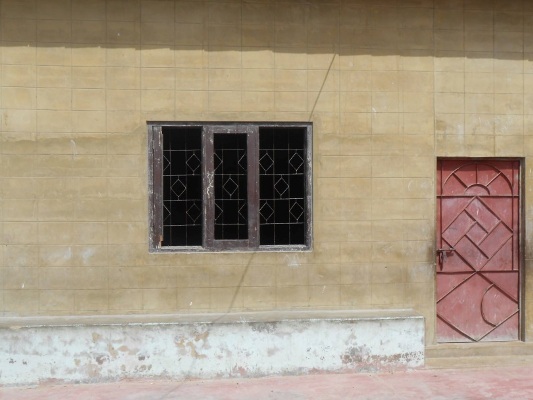 Being a pharmacist by profession, he could not be at the school full time, so his wife took on the project as a principal and, with the help of funds from family and friends, the school evolved from rooms made of wood to a 11-classroomed full-fledge concrete establishment. 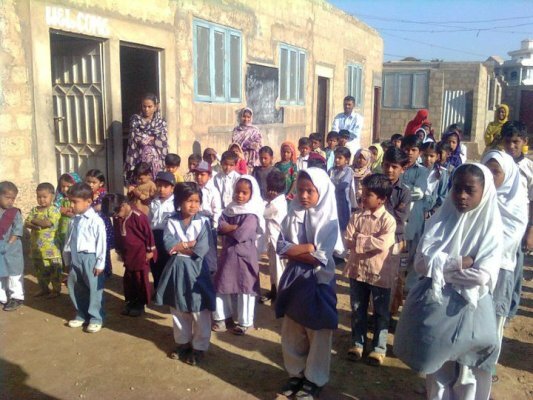 The enrolments started with a few children in kindergarten and grade one and, in 11 years, the school currently has over 150 enrolments and 11 teachers who teach the Sindh board curriculum up to matriculation. 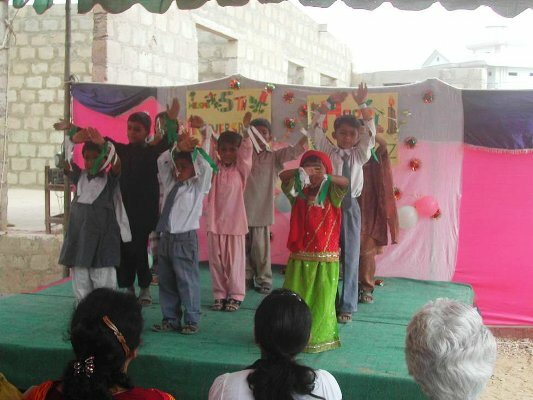 The school has students from both within the slum and nearby areas, hence a mix of children from diverse cultural and religious backgrounds attend it. 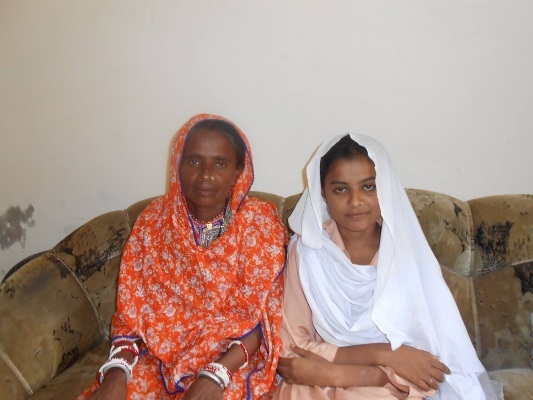 Children are encouraged to contribute to their education funds by giving Rs140 per month, per family. This meagre amount is to get them in the habit of investing in education, especially their future education at colleges and universities. 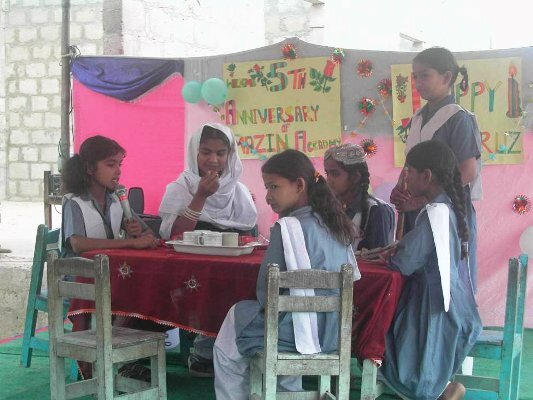 Apart from studying the curriculum, the children participate in extra-curricular activities like school functions and social projects like cleaning their alleys. 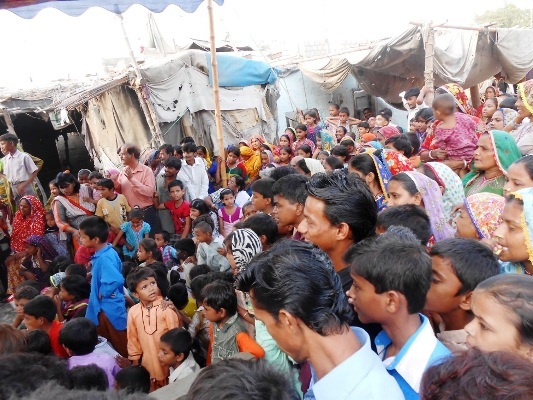 The functions are usually held outside school, but inside the slum area, to encourage other children in the area, who haven’t enrolled yet, to get interested. 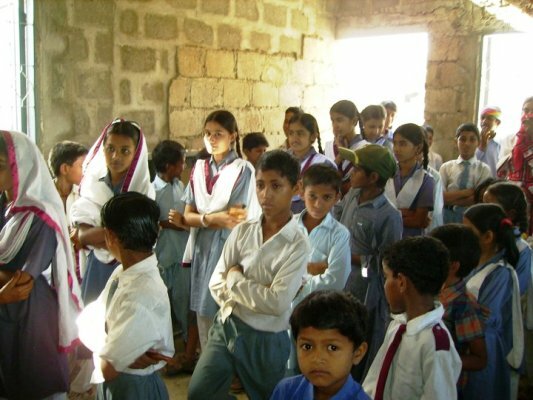 The principal and teachers make regular visits to homes in the village to talk to parents, address their concerns and encourage them to send their children to school regularly. The first fruits of this school’s labour were seen in 2014, when two boys and a girl matriculated from Mazin Academy. It was the first time anyone had achieved matriculation in an area where the main professions revolved around begging and leisure drugs. The two boys have found white-collar jobs and all of the three students are now pursing intermediate studies. In 2014, my brother gave up his full-time job to focus on the school’s operations. He hoped that by concentrating on the school full-time, he will be able to grow the enrolments further and secure funds from the government or NGOs to sustain school operations. However, a year has passed and despite trying, the school is still operating on benevolent funds from friends and family, which are not sustainable. He does not have the skills or funds for marketing campaigns or setting up a website that accepts donations. With three school-going children of his own, and no stable financial support system, he seems to be on the brink of calling quits after 11 years. “Pray for the project, because if I have to shut it down, I don’t think I will have courage to start another one ever”. I wonder that if he is unable secure the funds, what will happen to the children whose only hope to a bright future is this school in their village? It was difficult to get the parents to send their children to school in the first place, what will they do now? Will the children give up everything and become beggars or do some menial labour work for a living? When he asked me if we should appeal for funds on our Facebook page, I thought about how we only had 100+ likes, and even if we got a spike in funds, how long would that last? The problem with benevolent funds is the ups and downs in their flow. A school like Mazin Academy needs continuous campaigning for funds and I guess this is where the school needs help. So why did I write this blog? I thought this could be my contribution to his charity, to ask readers if they know of NGOs which are willing to support the daily operation costs of Mazin Academy. If any of you do, please write to [email protected] to introduce any connection you may have and we will proceed with a formal proposal. A ‘like’ for Mazin Academy’s Facebook page will tell us that you are equally thoughtful for the future of the children under its care. Some people may think a Facebook like is not a contribution but I say, yes, it is a contribution, as it motivates people who are doing good work and it raises awareness for those who may be able to help.